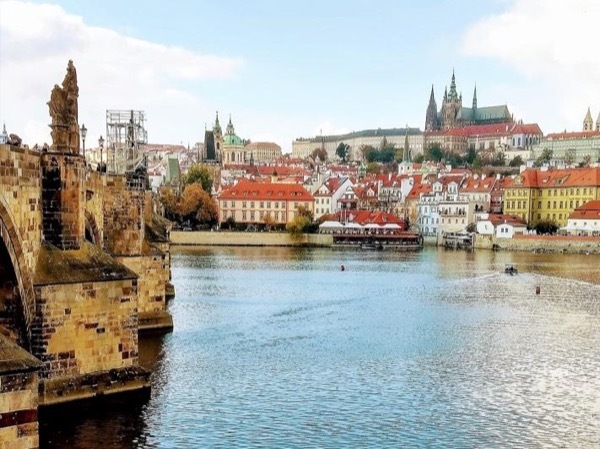 Local Private Tour Guide | Prague, Czech Republic | Richard C.
Welcome, fellow travelers and all lovers of art and culture, to the mystical city of Prague. I am delighted to have this opportunity to share with you the extraordinary cultural treasures of this city I call home. 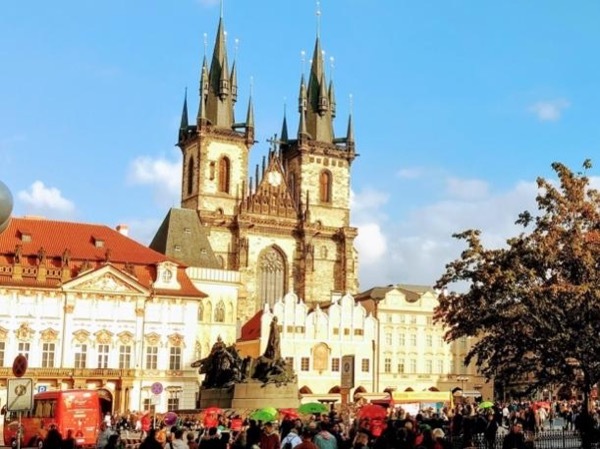 I am an American expat, born and raised in San Francisco, who began visiting Prague in the 1990's, fell in love with the city and it's beautiful culture, and then made the decision to move here permanently in 2008. I have been living here now for almost eleven years and I have permanent residency in this unique country. I am a licensed religious studies/history teacher in CZ and I hold a Master's degree in Divinity from the Jesuit School of Theology in Berkeley (at the Graduate Theological Union, University of California, Berkeley). 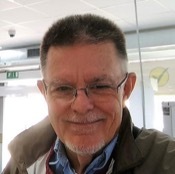 I have been a religious studies/history teacher for over 25 years and tour guide for student groups for the same amount of time - teaching on three different continents and in seven different countries. 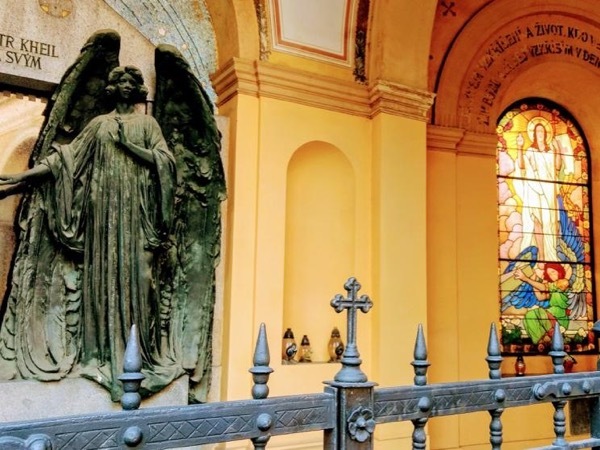 My specialty as a tour guide in Prague is in the religious history, culture, iconography and art of Prague (and the Czech Republic), whether Catholic, Protestant, Hussite or Jewish. Nearly every major tourist attraction in Prague is linked in some way with the Czech lands' turbulent, glorious religious history, whether it be Old Town Square with its imposing statue of the martyred reformer, Jan Hus and the towering church of Our Lady Before Tyn, Charles Bridge with its array of iconic statues or the Castle complex on Hradcany with the stunning Saint Vitus Cathedral. Prague contains some of the most beautiful masterpieces of religious art of any city in the world. Let me share with you my enthusiasm for these sacred works and spaces. Let us walk together through the winding cobblestone lanes, marveling at the extraordinary array of architectural forms on display and entering cool, silent, peaceful spaces (churches, museums, exhibitions, cloisters), for moments of contemplation of masterpieces of art. I am not a talky guide, rattling off information, names and dates at staccato speed, with a bullhorn and flag. I believe in moments of stillness to allow my visitors to appreciate the sacred works we are viewing and to allow these hallowed images to speak to the human heart. 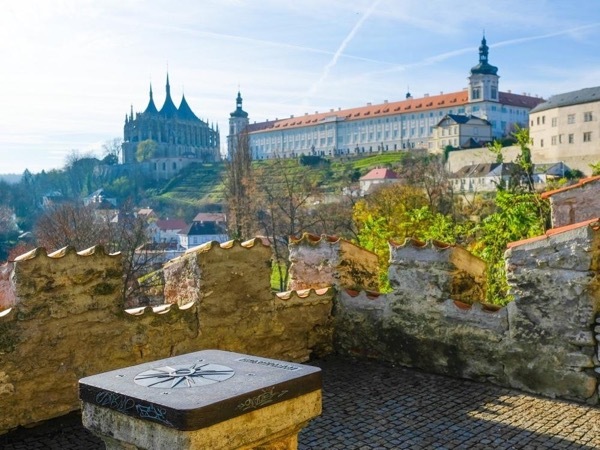 Through these images and sacred spaces, we will commune with the great spirits of the Czech past, Saint Vaclav (Wenceslaus), patron saint of the Czech lands and his martyred grandmother, Ludmilla, Saint Anezka (Agnes) and Saint Margaret, reformers Jan Hus and Jan Zizka, the great kings, Charles IV and Rudolph II, Franz Kafka who haunts the Old Town still, Rabbi Loew and his Golem, and the martyred resistance fighters who gave their lives in the church of Cyril and Methodius, in the aftermath of the assassination of Reinhard Heydrich. I am also not a fast walker. 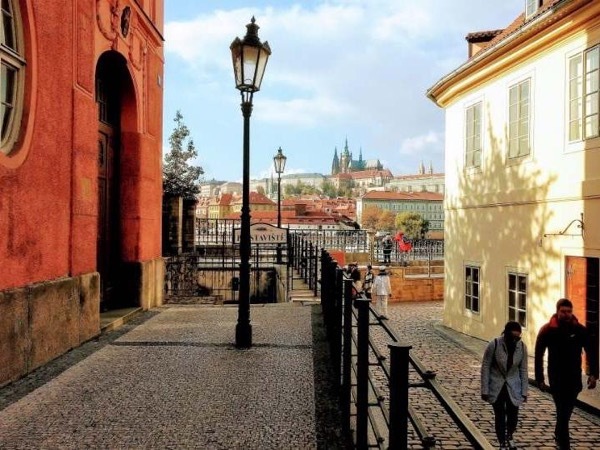 I believe in taking leisurely strolls through Prague's streets and lanes, to allow my visitors time to appreciate the city's cultural riches. And I'm a firm believer in tea and cake breaks in Art Nouveau cafes and sit down lunches in atmospheric, but inexpensive restaurants. Since I'm also not a clock watcher, I'm happy to include the extra time for these breaks into the tour. The stated time of the tour covers the sites, the breaks are my pleasure. We can negotiate them together according to our schedules. Welcome to Prague, mysterious and mystical city on the Vltava, mother of all cities. Let me show you her living heart. and a Bachelor of Arts degree in English Literature, Philosophy and Theology from the University of San Francisco. I have also been a religious studies/history teacher for over 25 years. A licensed religious studies/history teacher in CZ, but not a licensed tour guide, because the exam is in Czech. Have guided numerous student groups into all of Prague's major sites. Not a driver, but can arrange a car if you wish. The second most important historial site in Prague after the Castle. Explore the cultural riches of this Unesco World Heritage Site.